Global Water Intelligence, Media Analytics Ltd., Suite C, Kingsmead House, Oxpens Road, Oxford, OX1 1XX. 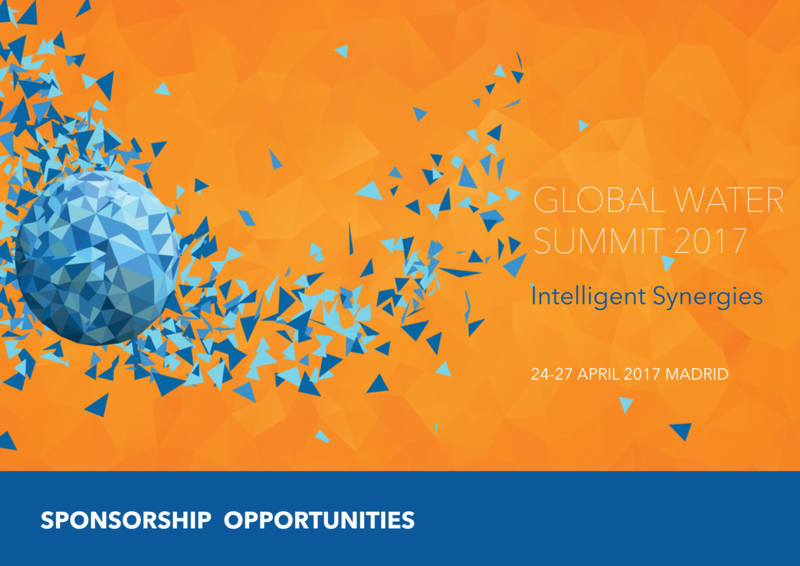 To find out more about the sponsorship opportunities available with the Global Water Summit 2018 or receive a Media Pack, simply fill in the form below and we will contact you shortly. In general, companies have limited opportunities to build trust and establish rapport with their customers. Getting involved as a sponsor and being seen as dependable and supportive will accelerate the process. Attending this event is important but standing out in the crowd by being a sponsor will highlight you and your business in front of a captive audience, your audience. Events target their marketing, bringing together exactly the right audience for you, at the right time, in the same place. Create new professional relationships with other sponsors, vendors, speakers and attendees. Acquiring a list of high-quality attendees may prove to be the most valuable asset available to a sponsor. All events have extensive marketing campaigns to make sure the event is well attended and successful. Sponsors will automatically get the benefit of being promoted throughout these campaigns, nationally and internationally. This could provide extended exposure and create visibility in markets you haven’t tapped into yet. Logo placement in a variety of media such as adverts, flyers, brochures, websites, email campaigns and signage will all increase brand awareness. Being recognized as a sponsor will communicate value and support with your audience at the event. Companies that get involved with events will be sending a message to attendees that they are genuinely interested in providing support, creating more human interest and appeal to the audience.